So……..I totally bought in to all the hype and hysteria of the space related launch of the new Benefit Bad Gal Bang Mascara. There was a huge marketing campaign behind this product with no clue to what the product was going to be until it was introduced via perhaps the most over the top launch ever! This was a big deal for Benefit as they haven’t had much luck over the last few months, having had to recall one of their most popular products Gimme Brow right before Christmas. 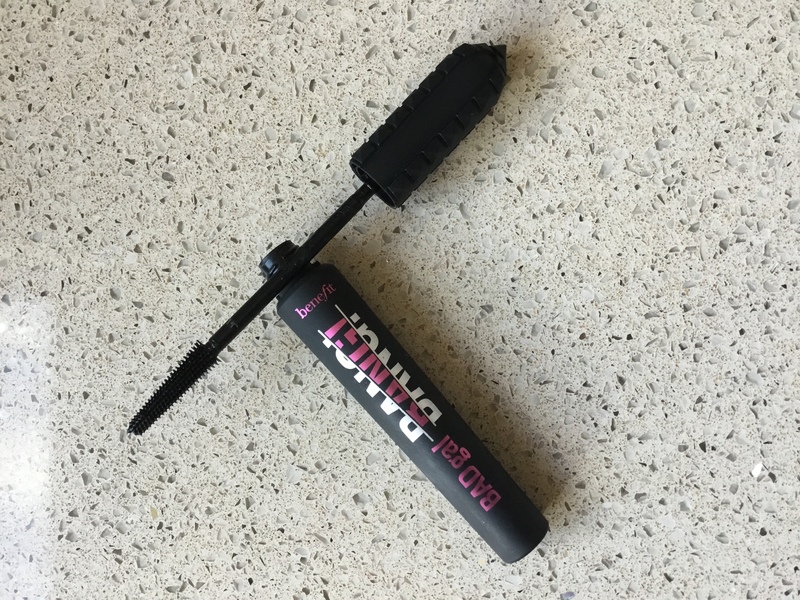 So, a new mascara for Benefit, I was a bit disappointed as I feel like they have the mascara market pretty much covered with They’re Real and my all time ( and many others) favourite Roller Girl…. however I am a sucker for a new product and had to get my hands on it and try. What’s special about this one then?? This mascara has been four years in the making and is all about volume, whereas Roller Girl is curling and They’re REal is lengthening. They have developed a really light as air formula….. ‘aero particles’ hence all the space talk which coats lashes and gives volume without weighing them down. It also lasts up to 36 hours too….. to be fair not much use to most of us who are normally up for less than 24 hours but hey it’s still a bonus if you ever get chance to pull an all nighter! 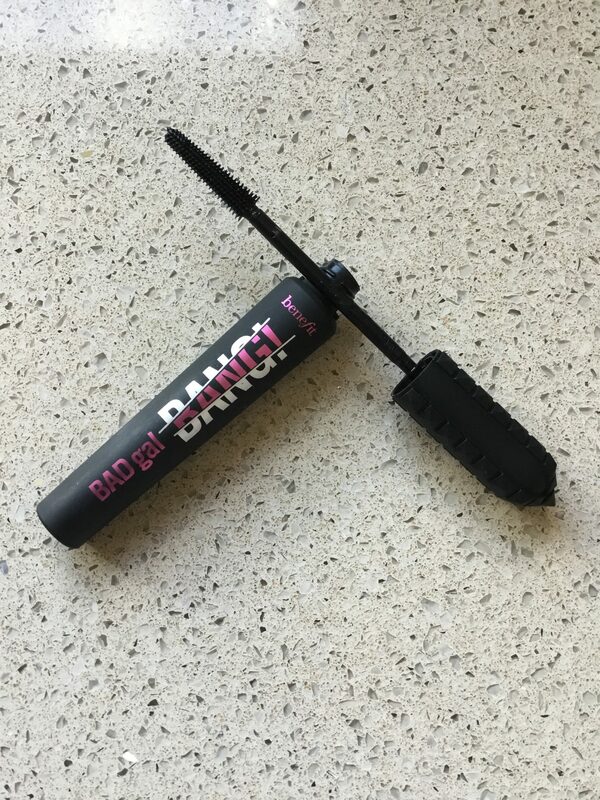 The brush is skinnier (than the original Bad Gal) and is wider at the bottom, narrowing at the tip for easy application to easily reach and coat those corner lashes. The important bit….. the results…mmmmm I’m a bit on the fence with this one. All the reviews I’ve read, people have raved about this so I had really high expectations. It does give great volume but more in a spiky lash type of way. Formula wise I found it similar to They’re Real and also struggled to remove too….. it will definitely last 36 hours if you want it to! The colour is great though, a real dark glossy black shade. I am pretty lucky lash wise, they are long naturally so it did give them a boost and people have commented when I’ve been wearing it, asking me what it was. I also think that those with shorter lashes who prefer a thinner brush will like this as it does get to all the lashes easily. The Bad Gal Bang will retail at £21.50 but I managed to get it for £16.56 at QVC with no p&p either and when I checked before publishing it was still available at that price. Previous Article← Wish list for end of January payday splurge! !